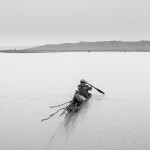 Photographer John Vink bids farewell to Cambodia. After a devestating dry spell, rice farmers in Kep province sow their fields and brace for the year ahead. 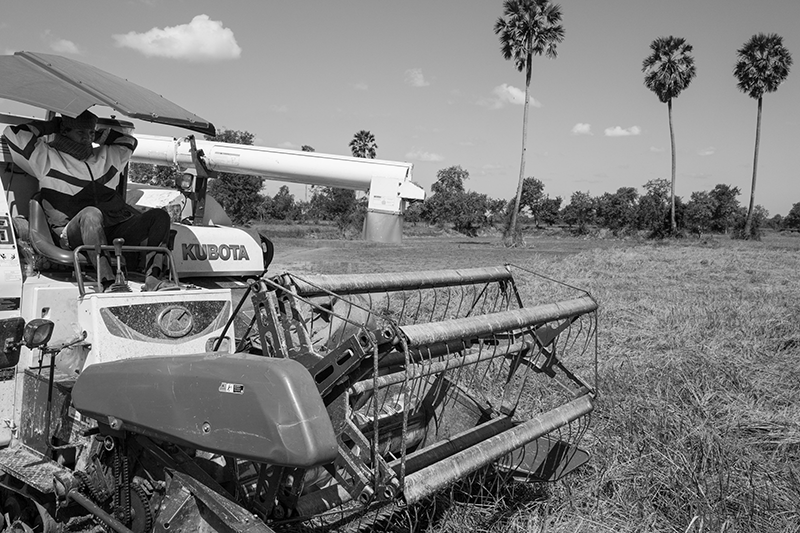 This is the last in a 12-part series on Cambodia's rice cycle. 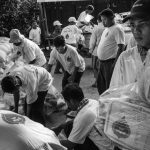 For nearly three decades, a block in Phnom Penh has served as a distribution hub for the rice that feeds the city. 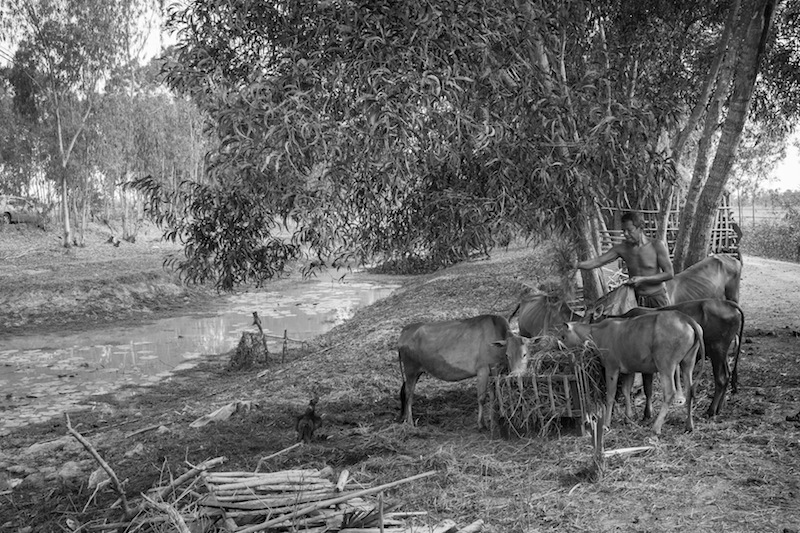 In Kampot province, residents who built a reservoir under the Khmer Rouge are still using it—for their own farms. This is the tenth in a 12-part series on Cambodia’s rice cycle, to be published monthly. The worst drought in decades is choking the country, and single-crop rice farmers are hurting the most. This is the ninth in a 12-part series on Cambodia’s rice cycle, to be published monthly. 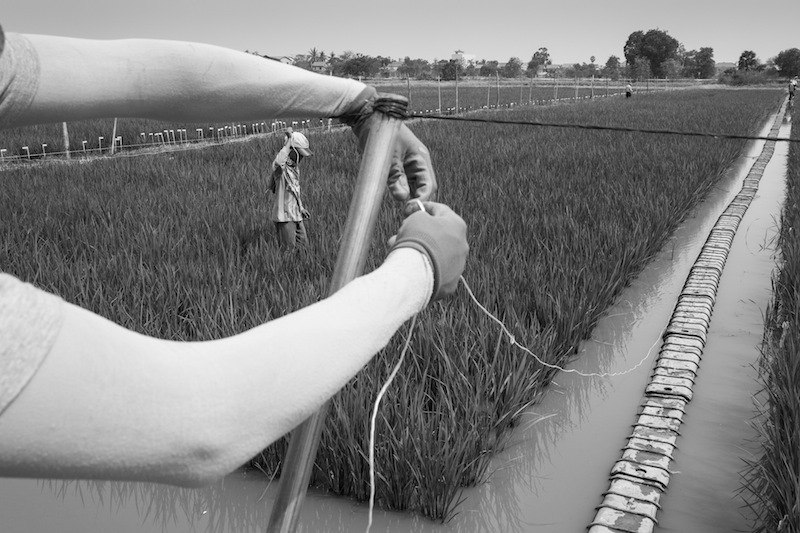 In testing fields on the outskirts of Phnom Penh, researchers are trying to cultivate rice that can handle the heat. This is the eighth in a 12-part series on Cambodia’s annual rice cycle, to be published monthly. 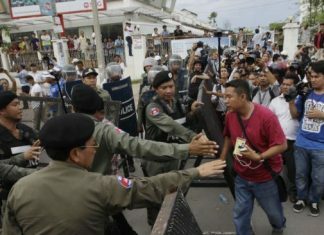 In rural Cambodia, rice handouts buy allegiance. This is the seventh in a 12-part series on Cambodia’s annual rice cycle, to be published monthly. Machines have transformed the country’s annual rice harvest. This is the sixth in a 12-part series on Cambodia’s rice cycle, to be published monthly. 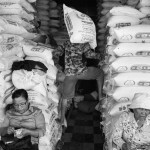 At factories in Phnom Penh, workers prepare rice to export. This is the fifth in a 12-part series on Cambodia’s annual rice cycle, to be published monthly. 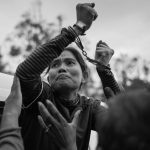 Watching as a team of sweat-soaked workers loaded 50-kg bags of long-grained Cambodian white rice onto a waiting container truck, They Honrith explained that the shipment was only at the beginning of a journey that would take it across two continents. In Preah Sihanouk province, farmers in the coastal lowland rely on dikes to protect their rice from the sea. This is the fourth in a 12-part series on Cambodia’s annual rice cycle, to be published monthly. 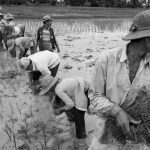 In Kep province, farmers have spent the past several weeks transplanting rice seedlings that will be harvested in about four months. Thus begins the first of a 12-part series on Cambodia’s annual rice cycle, to be published monthly.